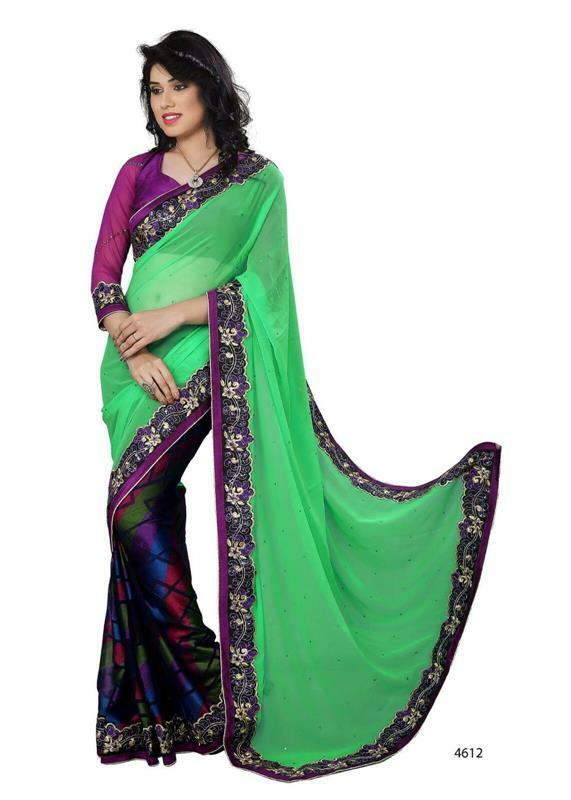 Beautiful green & rust colored party wear saree. 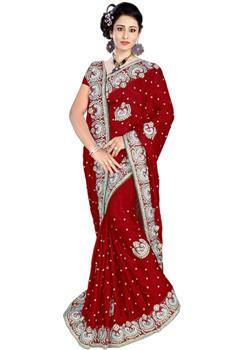 Its classiness amplified in its rich embroidered pleats with golden thread work, diamond , stone , zari and many others. 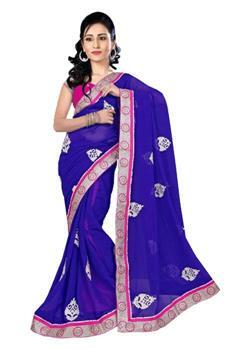 Also the georgette butti pallu with the heavy pallu .The contrast blouse fabric comes with threaded patch work absolutely free with it..